I booked a 5 day wilderness hunt with Justin Mitchell of Action Adventures after Justin was referred to me by the Huntin Fool organization, that only refers the best outfitters in the business. What a hunt it was. We were hunting the second rifle season for bull elk. From the time we left the trailhead to our return there was nothing but “action” and “adventure”. On the second day of the hunt before daylight we rode for 2 hours. when it got daylight Justin had us in a large herd of elk. There ware at least 6 big bulls in the herd. 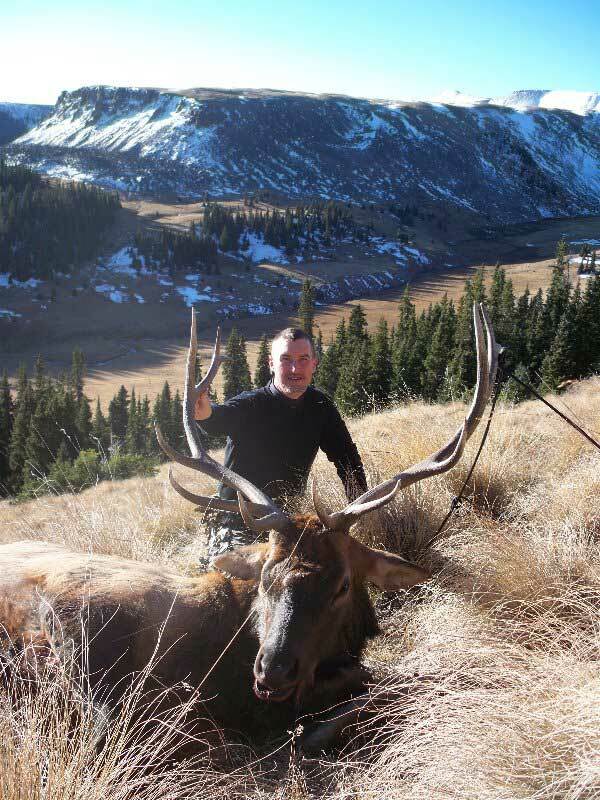 I shot the first big bull that presented a shot. He was a nice 6×6. Everything was great, the horses, food, and lodging. Justin was quite knowledgeable. You could tell it wasn’t his first day on the mountain. If you want a hunt of a lifetime book a hunt with Justin of Action Adventures. I guarantee I will be back.